I know that black bow hair can be used to better grab thicker strings, but is there any practical use for the red hair or is it just an aesthetic thing? Also what are the methods for turning the hair red? A red horse..... it’s dye, people do it to add color for kids. I think they should ALL be dyed!!!! White! Kids like "fun" colours - as do some antiestablishment adults - that's about as complicated as it gets. 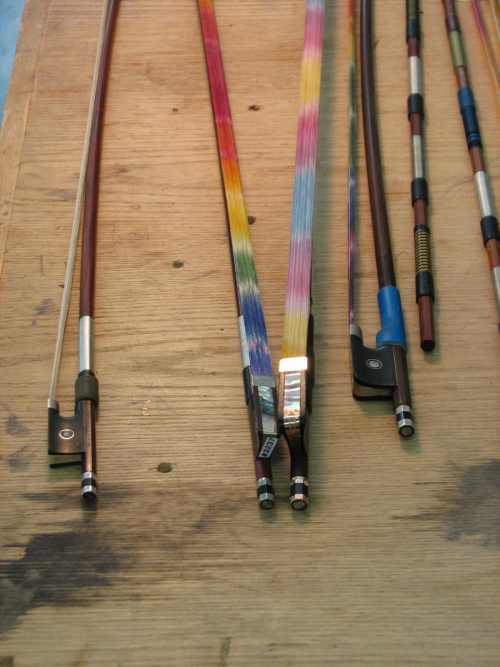 Don’t get me started on purple, blue and green violins! It looks pink to me. Perhaps a breast cancer thing? 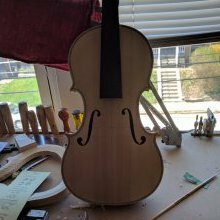 I just had a bow which I sold with white hair come back for it's first rehairing and the hair is now distinctly pinkish orange The owner swears she has not done anything to it and the only explanation I can think of is that the original hair was treated or washed in some way that has now reacted with the rosin. I have never seen anything like this before and was going to ask if anyone else has seen this happen. By the way she uses Andrea orchestra rosin which many of my clients also use with no bizarre affects. 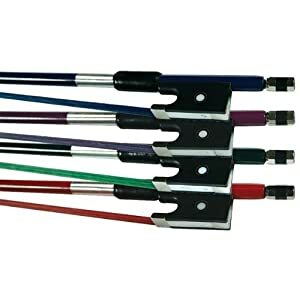 Is the bow kept in a cheap case? Is the lining of the case discolouring the hair? I don't think that is the "case". The color looks too evenly distributed for that to have been a possibility. And you find the methods in the shelves of a drugstore. 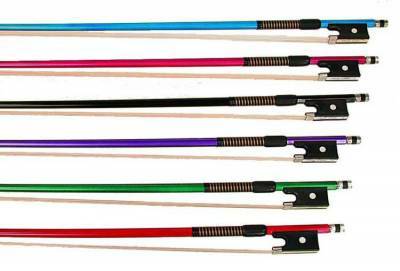 I know a violinist who has a bow with different color hair for each day of the week. Did anyone answer about the "how" part of the OP question? I had a young woman working with me years ago who was experimenting with different dyes for bow hair and finally settled on something but I can't remember what it was and she's long gone. You saw the hair on the bow Nathan mentioned? I was referring to the original bow. Yes. That one was dyed. I believe if you squint you can see rainbow dyed hair coming over the horizon now. I have seen a few bows with dark hair which I was told was unbleached and a bit cheaper but never cared for the look as I am unaccustomed to it but now green and blue and red hair do catch my fancy I'll try a rainbow too! I mentioned this because an internet shop based here in Santa Barbara has started playing around with dyed bow hair. Could it be some kind of synthetic bow hair?